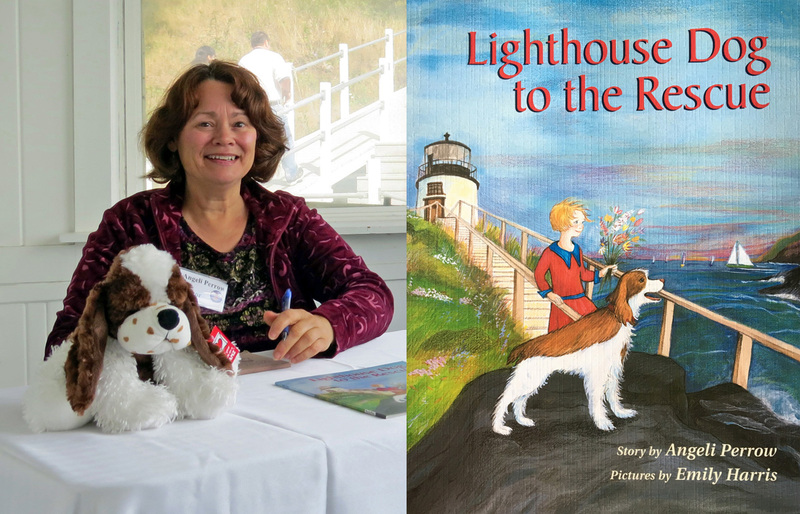 Maine children’s author Angeli Perrow will be signing copies of her popular book, Lighthouse Dog to the Rescue, on Saturday, September 8 from 11am to 2pm in the keeper’s house at Owls Head Light. In the over 190 year history of Owls Head Light Station, “Spot” the dog may very well be the light station’s most beloved story – an account that is both heroic and heartwarming. Don’t miss the chance to talk with Angeli Perrow and purchase a signed copy of Lighthouse Dog to the Rescue. While on site, be sure to take advantage of the opportunity to tour Owls Head Lighthouse, which will be open to visitors for Maine Open Lighthouse Day, as will the interpretive center and gift shop inside the keeper’s house at the light station.